Just read Autoblog’s test drive of a Singer Porsche. To say the least – they were bowled over by its brilliance. I’m reposting an interview we did with Rob Dickinson back in early 2012. Rob Dickinson on the meticulous process they use to restore and enhance air-cooled Porsche 911s. What was the inspiration for starting Singer Vehicles Design? As the vessel to launch our ‘restored, re imagined, reborn’ philosophy – the idea that an iconic automobile can be restored and enhanced with modern technology in a wholly positive way that respects the original while making it relevant for modern times and a new audience that never got to experience that original. I’m guessing you’re wanting a Singer restored vehicle to be driven, and driven hard. Our work is executed to very high standards with cost no object content – the result is a car built like a Swiss timepiece with levels of performance, functionality and reliability akin to a modern Porsche. What distinguishing details do all of your vehicles have in common? We repatriate the finest air cooled 911 chassis from the 964 series cars with the most beautiful ‘Butzi’ Porsche original bodywork from 1964 – the engines are rebuilt at Cosworth with state of the art technology and the bodywork is rendered in the finest military grade carbon fiber for maximum lightness and strength. The brakes and suspension are the finest available. 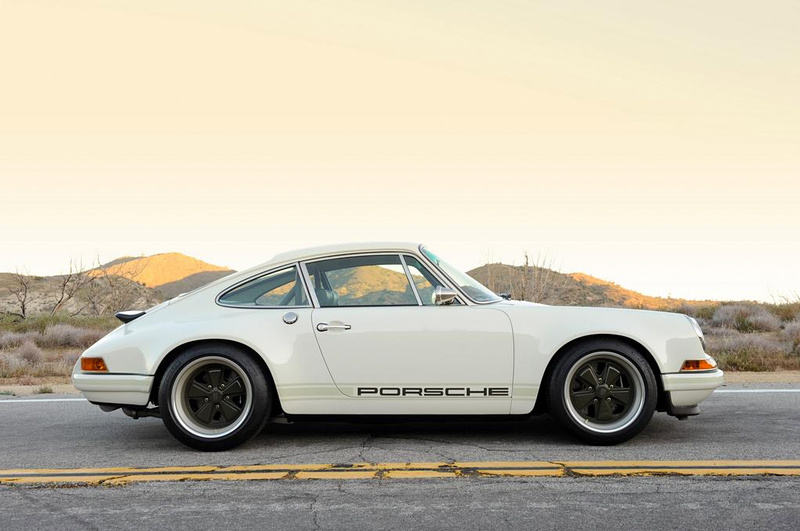 You’ve said that the “classic air-cooled Porsche 911…is the most important sports car on the planet…” Why are the 911s of this era so special? 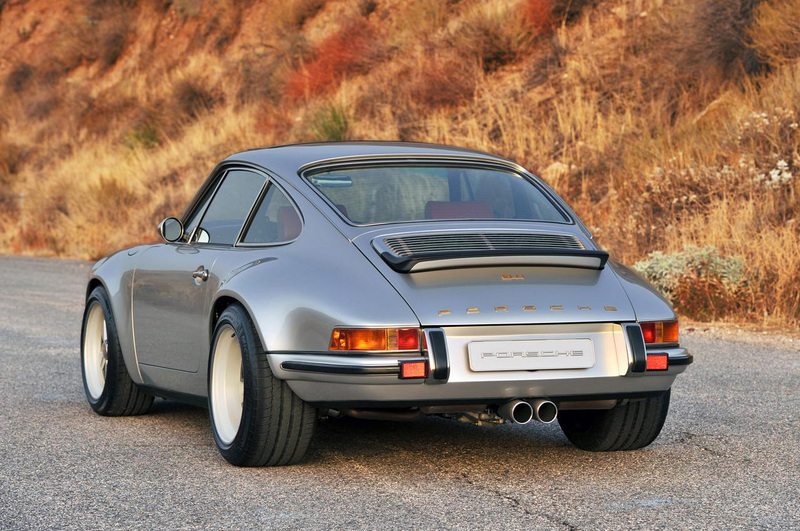 Because they endured – largely due to Porsche’s ultra conservative incremental development philosophy – the 911 of 1964 has a remarkable amount in common with the 911 of 1998. This and the 911’s utter dominance of motorsport throughout this era which improved the breed and garnered legendary status. What’s your process when you first get a Porsche into the shop? The car is stripped back to the metal, fabricated for additional strength, media blasted and etch primed, fitted with it’s new carbon fiber bodywork and then painted to concourse standards – a process that takes 2 months and the attention of some of the finest artisans and craftsmen in the world. How do you work with your clients when they first approach you? Are they more concerned with the look, or how it feels when it drives? The look and concept of our work is what interests our customers – they want a machine that not only captures the spirit and look of the early 911s but also combines it with modern day levels of performance and function. From what you’ve seen, how are Porsche owners different from other sports car owners? In my experience there are few Porsche owners who cannot also appreciate a wonderful Ferrari or Maserati – they are passionate car guys period. Typically, how long does it take to restore a Porsche at Singer? Can you tell me more about Cosworth, your engine supplier, and how they fit into your process? We needed the best minds in the business to take the classic air cooled flat six engines to the next level -Porsche stopped development of these engines in the late ’90’s when they switched to water cooled units and Cosworth are picking up those development reins and using modern techniques and state of the art components to optimize these units for the 21st Century. And you’re working with the Aria Group. Can you tell us more about Aria and this relationship? Aria are both carbon fiber composite experts and one of the worlds most respected design, engineering and prototyping facilities – Aria use their world class expertise in concept car construction and execution to bear on the SVD bodywork and paint. Where do you test drive your vehicles? 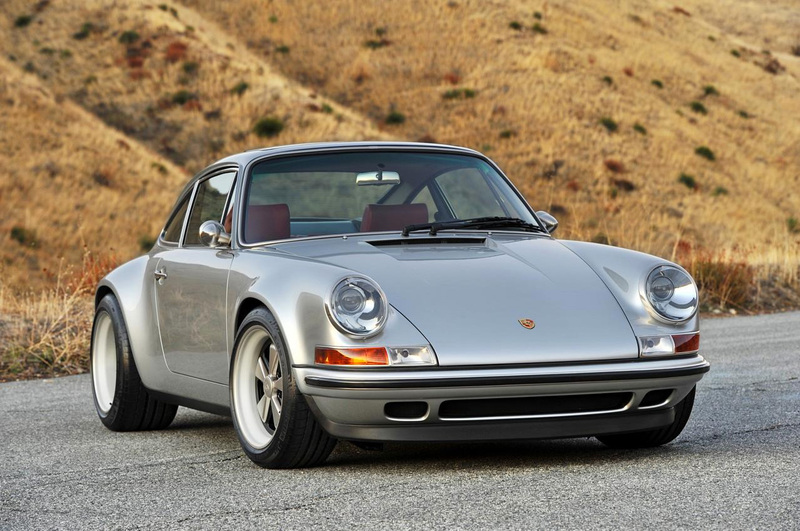 What are you looking for when you’re test driving a Singer? We test drive our cars on a secret mountain road above our facility near Burbank California and at Willow Springs Race track – we are looking for correct suspension compliance and geometry, checking braking performance and chasing any squeaks or rattles from the interior – each car is driven for 500 miles before being delivered to the customer. 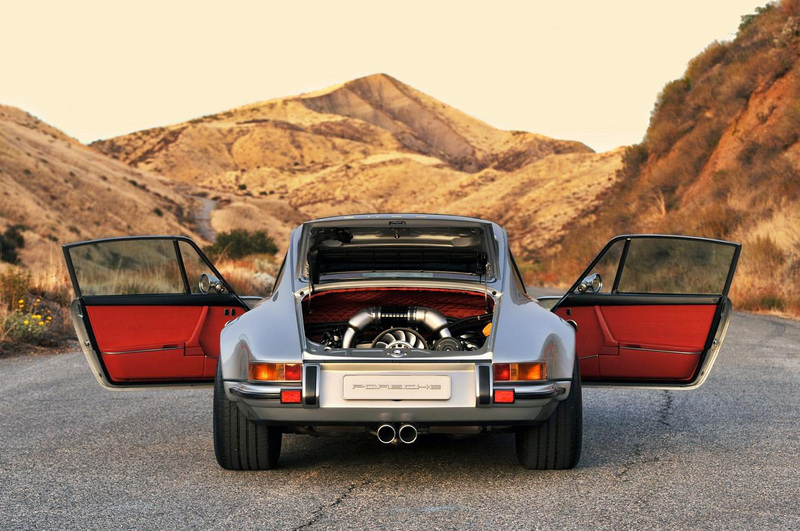 Given the choice of any road in the world, where would you like to drive a Singer Porsche? An empty Highway One driving up the cost to Big Sur. Every major auto manufacturer has a design facility in Southern California and this has given rise to a tight knit and highly skilled community of craftsmen and artisans. Most used word or phrase that you use when it comes to design? How do friends and family describe you? Favorite car movie of all time? Favorite gadgets/objects you use on a daily basis. Or can’t live without. I don’t really like gadgets although my iPhone has become annoyingly useful. What’s usually on your mind when it comes to car design? Wheel and tire relationships – the building blocks of great car design. What do you do when you’re not at Singer? Thinking about Singer or wheel and tire relationships. Rob Dickinson casually mentioned that he was in Catherine Wheel. They had one of those unforgettable songs: Black Metallic. One of my favorite singles from the 90’s. Everyone who has commented thus far is completely correct; the principle, design scheme, and analysis/inspection fabricate a remarkable car and it truly is a work of art. The vehicle has been my, “if you could have any car in the world, what car would it be,” vehicle for nearly two years now – ever since it was featured in Top Gear BBC. Although I have loved pre-1996 911’s for a long time now, I am a measly 20 years of age and a very broke college student. So for now, I’m just going to have to stick to my imagination and dreams. What singer does with the 964 is a work of art. It combines the essence of what Butzi envisioned the 911 to be with all the creature comforts of today’s modern Porsche. Too bad the $$ tag is up around 375k (not including the base model). Would we still pay it though? Yeah, definitely. How can there be ZERO comments about Rob Dickinson and Porsche by Singer? I shall be the first. This guy is a modern miracle; a true artist, both musically, and aethetically. Coupled with his engineering expertise and his mastery of contemporary fabrication methods, I would say that Rob is a 21st century renaissance man. Looking at a Porsche by Singer, I recall being a 15 year old boy whose soul vehicle was a broken down beach cruiser. This didn’t stop me from flipping giddily through my first issue of Car & Driver, hopelessly dreaming of some day owning a Lamborghini Countach. Fast forward to today. 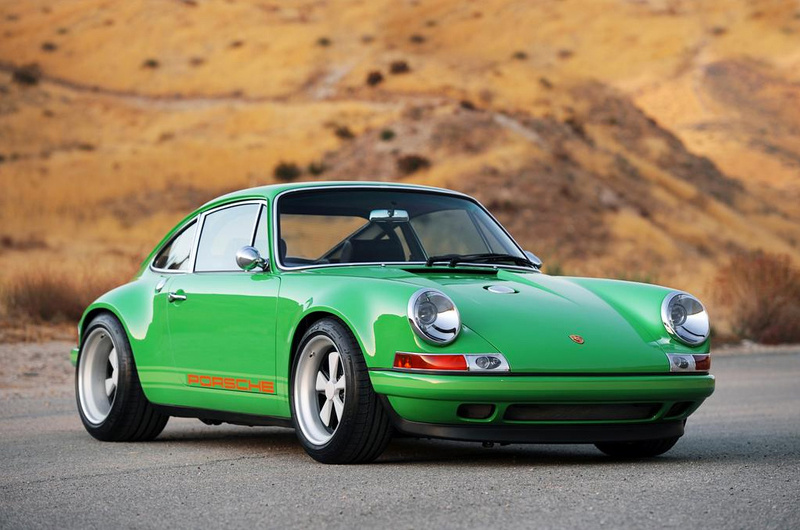 Indeed, the Porsche 911 by Singer is the opposite of my adolescent crush with the garish Countach. The Porsche by Singer is so elegant, powerful, and restrained. It looks as if this 911 were drawn by Da Vinci’s hand. I have long ago replaced my beach cruiser for a New York City subway but, still, this kid is now dreaming about driving up the Pacific Coast Highway in a Porsche 911 by Singer. I couldn’t agree with you more David. (Although we didn’t have comments by DISQUS until a couple of months ago). Rob’s vision for Porsches is off the charts. I’m planning on doing an interview with Rob again to see what he has up his sleeve in 2014. Let me know if you have any questions for Rob.